Here is how LARP City will help you deliver to your players an unparalleled game experience and help you expand your player base. The concept of LARP City is essentially a self-generating engine tied to the LARP community and public interest. A larger LARP community, with strong well attended games, allows us to maintain and improve our site. That increased income is then reinvested in promoting LARP and further expanding the community–thus the cycle continues as we help each other. We are in love with the idea of game owners, chapter directors and game staff being able to earn living wages with LARP as their full time job (it’s already a full time job anyway, right?). If that is something you want, we will help you make it happen. Finally! A site that is owned, operated and maintained by and for LARPers. As experienced players and game owners ourselves, we understand what you need in a site, and will constantly work with you to deliver that. Being familiar with and geared towards LARP allows us to dispense with many of the unnecessary restrictions, rules and barriers you would normally face when dealing with a property owner, freeing you up to provide the best experience possible to your players. The key to success for us is to make you successful. The more successful your game is, the more successful we will be. Therefore, the primary focus of our marketing efforts will be promoting LARP as a hobby overall, and promoting LARP games. Each LARP City will primarily be a rental venue, but whenever the site isn’t being rented we will host an on-going introductory LARP designed to attract and interest new players. We are specifically looking for people who have never LARPed before. Once they have had a taste, the game system itself will direct them to outside games in their area (such as yours) that fit their interests and playing style. To put it another way, we will be actively sending new players your way; players who are already indoctrinated in the basics of role-playing, combat, costuming and player etiquette. We want to make each LARP City accessible to games of any size, so we will maintain a very flexible pricing structure that allows you to pay for what you need, and skip what you don’t. – Storage facilities for larger items, set pieces and props that can’t be easily moved off site. – Fully equipped crafting facilities for making weapons, costuming, props, etc. – Regular workshops that teach valuable practical skills that you can use to expand your game: Social media and marketing classes, website design, website programming, costuming, crafting and more. The possibilities are literally endless here. We will find out what you want to know and develop workshops to teach those skills. The underlying mission of the LARP City Project is to expand and popularize LARP as a hobby. The most important part of achieving that goal is to support LARP games like yours. We hope you will consider supporting us and spreading the word as we prepare, design and develop funding to build our first site. 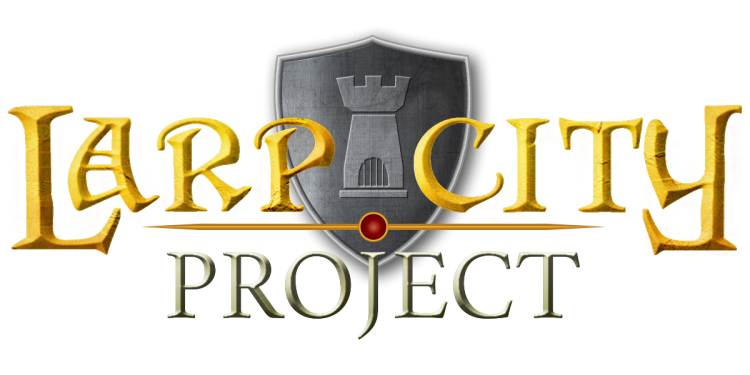 If you have any questions, or would like more information on how you can get involved please contact David Pulcifer at admin@larpcityproject.com.